A minimum fast of 7 hours per day is encouraged, but not compulsory as others may have alternative ways of fasting or seeking God. 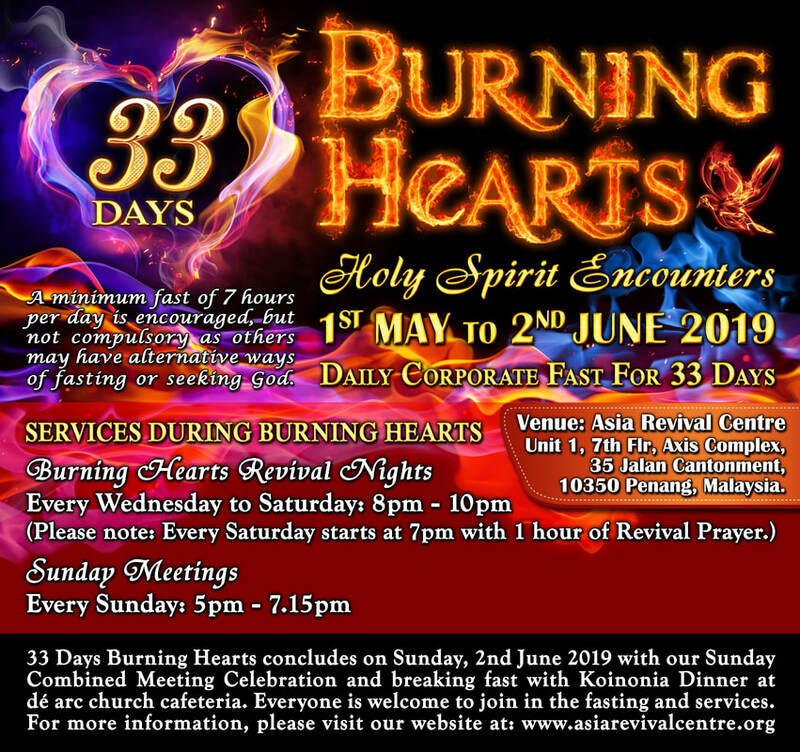 On the final day of Burning Hearts: 33 Days Burning Hearts concludes on Sunday, 2nd June 2019 with our Sunday Combined Meeting Celebration and breaking fast with Koinonia Dinner at dé arc church cafeteria. ​Everyone is welcome to join in the fasting and services! ​Venue: Asia Revival Centre - Unit 1, 7th Floor, Axis Complex, 35 Jalan Cantonment, 10350 Penang, Malaysia.